My husband and I have been working hard on our vegetable garden over the last two months and it finally seems to be taking off. We have two vegetable boxes as well as a greenhouse and containers on the patio. In the first vegetable box we are growing coriander, rosemary, mint, purple sprouting, curly kale and broad beans. In the second we are growing carrots , peas and runner beans. I spent over an hour just constructing the triple A frame for the runner beans. Our greenhouse is full of tomato, cucumber, courgette and pepper plants. We have two varieties of potatoes in containers, as well as strawberries and lettuces. The rosemary smelt so fragrant while I was digging in the vegetable box that I was inspired to write a lamb post for SurreyKitchen just so I had an excuse to use some of it in my cooking. 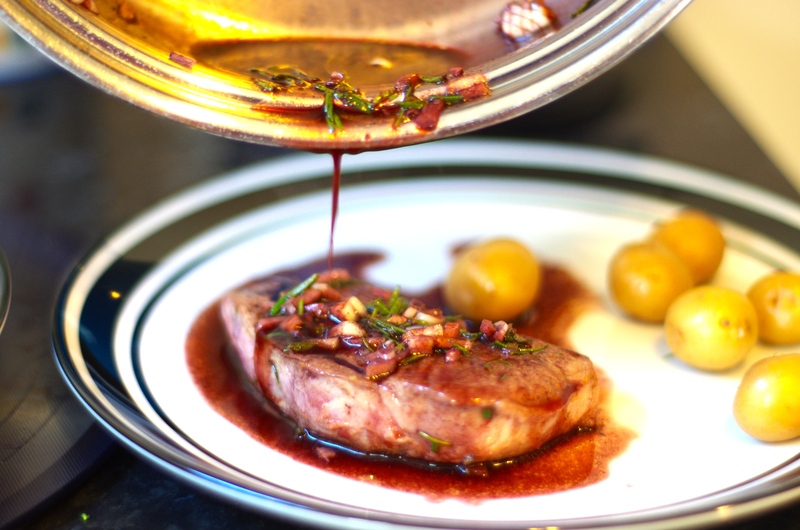 The mediterranean essence of rosemary, garlic and ruby port is enough to impress any dinner guest. What I love most about this recipe is the ease with which it can be prepared. 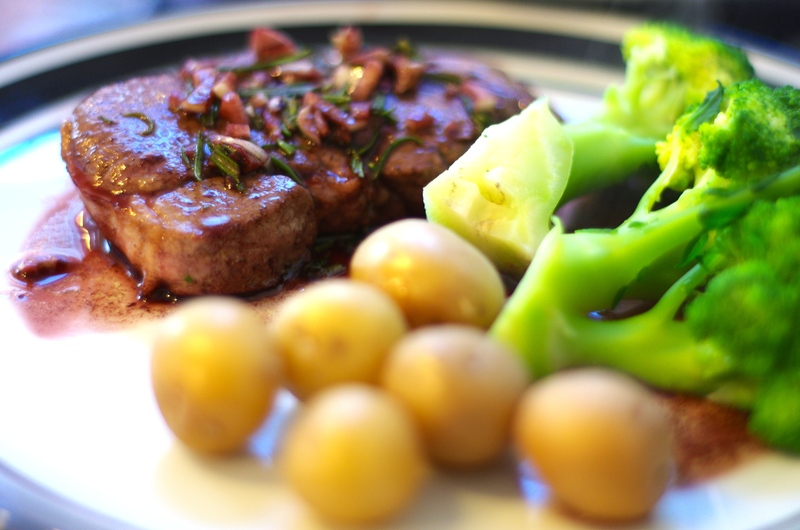 In less than twenty minutes you can have a healthy satisfying meal on the table that your friends and family will love. Perfect for when you are feeling low in energy but still have to entertain. After the hours I spent tending to our vegetable garden this made for a perfect Saturday evening. 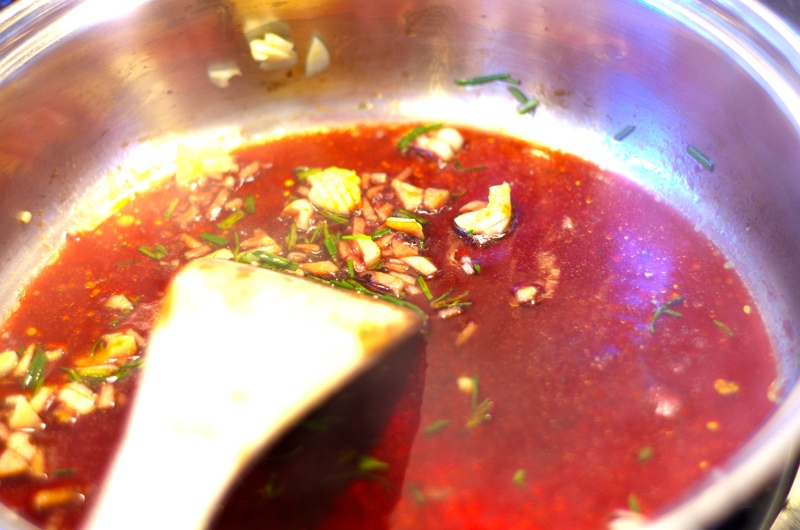 1) Mix together a tbsp of olive oil and the Worcestershire sauce in a dish. 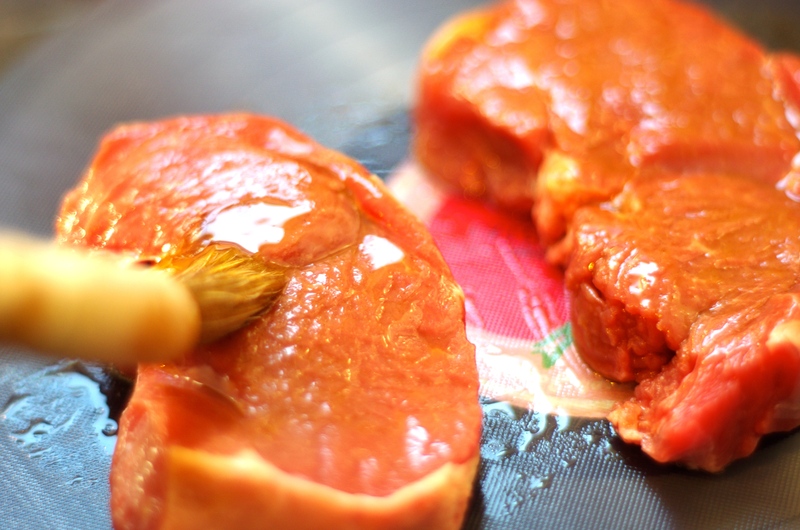 With a pastry brush cover the steaks in the sauce. 2) In a pan cook the steaks for approximately three minutes on each side depending on whether you like your steak rare, medium or well done. 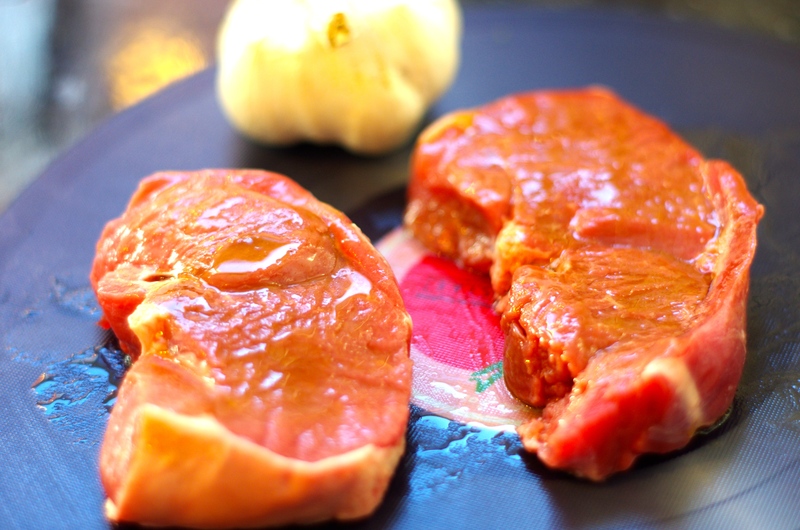 3) Wrap the steaks in foil and leave to rest on a warm plate. 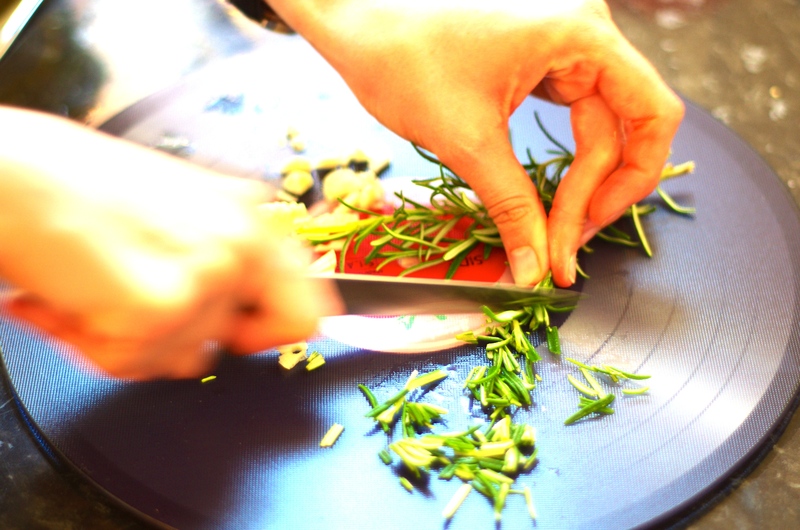 4) Turn the pan down low, add the butter, finely chop the needles of rosemary and add them to the pan. 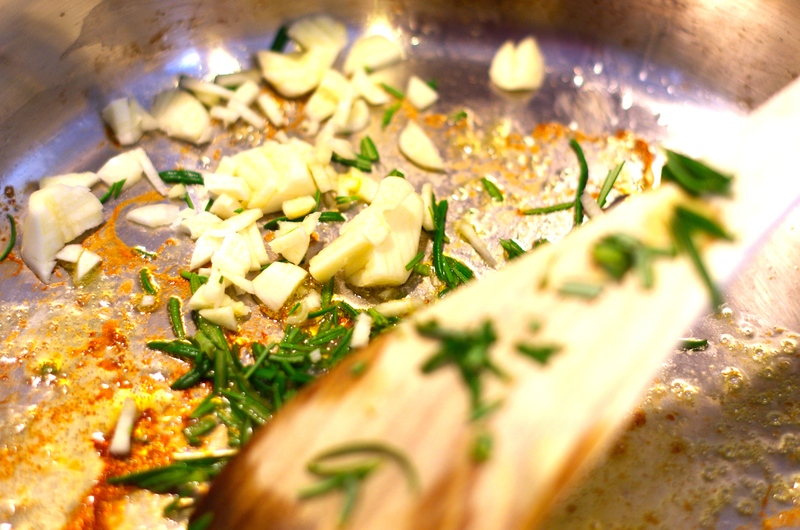 5) Add the garlic and chilli to the pan, pour over the port allowing it to reduce a little. 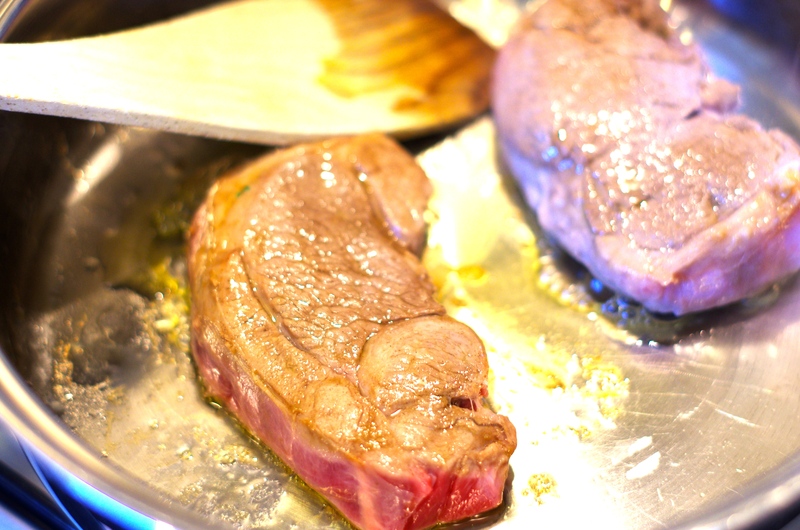 6) Remove the steaks and add any juices from the foil parcel to the pan. 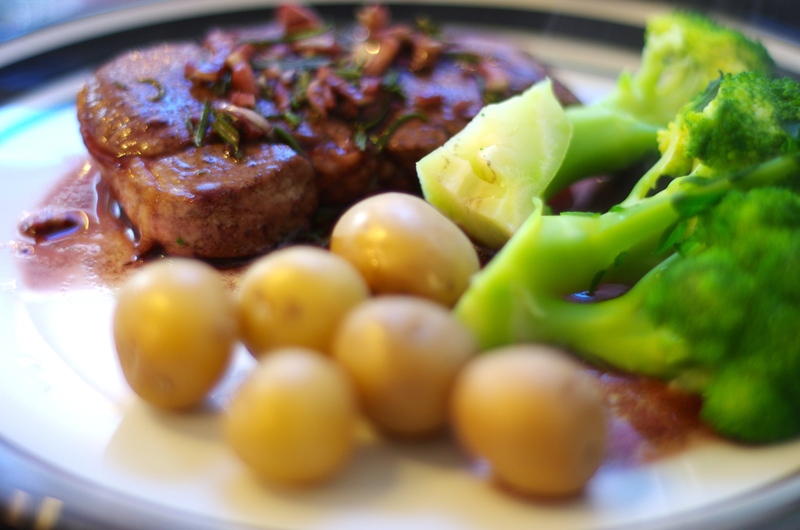 7) Place the steaks in the pan for a few seconds then serve with new potatoes and broccoli or a vegetable of your choice. Delicious! Wow, what a lot of work you and your hubby have put into your garden! Your dinner sounds heavenly – lovely flavours. 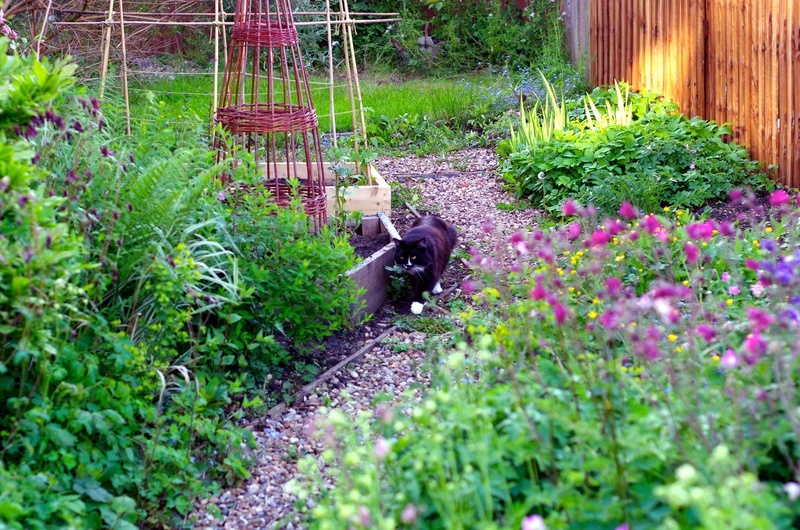 Your garden looks wonderful! I’m sure the rosemary is a wonderfully fragrant addition to this dish. I’m always disappointed when I buy it from the grocery store and it isn’t fresh. Growing your own is definitely the way to go! beautiful! What a lovely garden. And a fabulous lamb dish as well. rosemary and port sound fabulous together!!! and i’m so glad you got Miles in a photo! How beautiful! I adore lamb with rosemary. 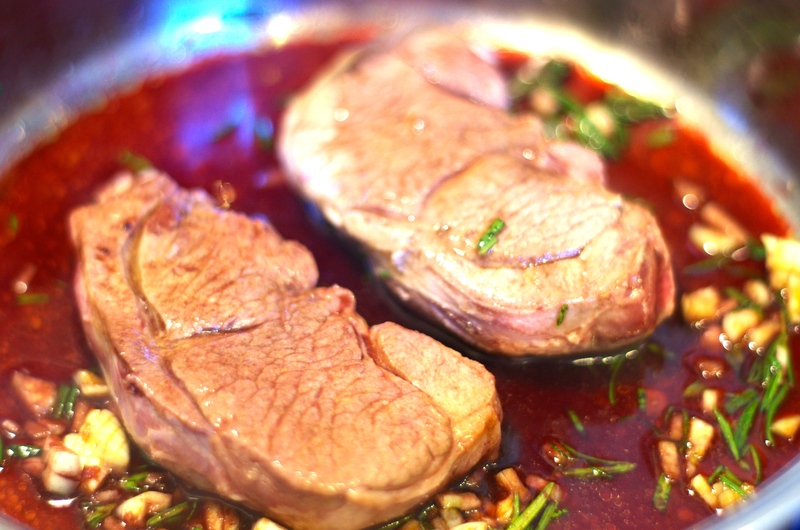 I enjoy lamb a lot and your recipe looks great, especially since I have fresh rosemary too! I noticed you have a few recipes using lamb and I will have to check out those too. Beautiful garden full of all kinds of good veggies – what is purple sprouting? Thank you so much. It is very sweet of you to say so. Thank you for giving me confidence in my writing. Emma. Thank you for your kind comments. You have given me confidence in my writing again. Emma.